As I mentioned the other day, I'm putting a book together from posts I've written over the years. Yesterday I found one languishing in the purgatory of my drafting bin, it was about Dan Wells' 7-Point System for building a story. Here it is. We'll go through each step in what follows, but first a few general remarks on story creation. Writers come in many varieties. Some like to make things up as they go along, having the end of the story come as a surprise. These folks are called pantsers or, as Dan Wells says, discovery writers. I have no end of admiration for pantsers. The idea of starting off on a story, of committing to it, before I know, say, how it ends, gives me the willies. People like me, folks who crave outlines like ... I don't know. Like humans crave oxygen? Like plants need water? Like your kids want the most expensive, least available, thingy-ma-bob for Christmas? Anyway, we're called plotters or, less awkwardly, outline writers. Like any kind of structure, Dan's 7-Point Story Structure works whichever kind of writer you are, discovery or outline. 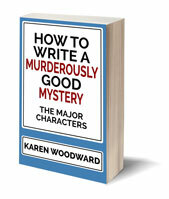 If you're a discovery writer and like to find things out as you go along, your first draft becomes a zero draft and you comb through it, extracting an outline that helps as you through that valley of despair known as "revisions". Perhaps this part applies more to plotters than pantsers. It helps to figure out what your SETTING is going be (place, date, time, social environment, and so on), who your main CHARACTERS are, what your main character's GOAL is (i.e., how they can get that which they desire above all else) as well as the ANTAGONISTIC FORCE that's preventing him from reaching his goal. I call the main character's goal, the goal she has for most of the story, the STORY GOAL. 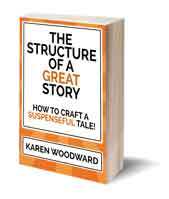 The story goal and the ANTAGONISTIC FORCE together provide the conflict needed to drive the story forward. Keep in mind, though, that what initially goads the hero into action often isn't the story goal. For example, in the beginning of Shrek we learn that what the ogre values above all else is private time. Aloneness. This aloneness is ripped away from him when the peace of Shrek's swamp is shattered by an invasion of fairy tale creatures. This invasion provides the impetus for Shrek to head off to meet Lord Farquaad. It gets the story going. I would argue, though, that seeking privacy, aloneness, is just Shrek's initial goal. The story goal is for Shrek to find his mate, to find connection with other critters, and to learn how to change so that such connection is possible. That's the goal Shrek takes up when he accepts Lord Farquaad's quest at the 25% mark. This is also the first plot turn. But I'm getting ahead of myself. - Who the main character is, his (or her) strengths and weaknesses, what he (or she) desires most. - What the story is about, its dramatic premise. - The setting (place, date, time, social environment, and so on). - What the character wants, his or her goal. - What is keeping the character from attaining that goal (the antagonistic force). Okay, enough prep! Next time we'll go through Dan Wells' system step by step. 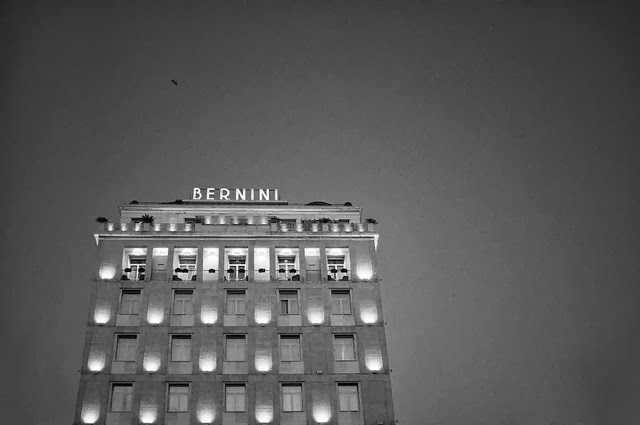 Photo credit: "Bernini" by Daniele Zedda under Creative Commons Attribution 2.0. Thanks C.M.! You have a great blog. Love that catalogue of human features you linked to.